Gaynell Griffin Jones. Courtesy of the Houston Chronicle. Image available on the Internet and included in accordance with Title 17 U.S.C. Section 107. JONES, GAYNELL GRIFFIN (1948–2013). Gaynell Griffin Jones, United States attorney and the second child of Marvin and Lois Griffin, was born in Dallas, Texas, on November 20, 1948. She received her early education in the public schools of Waco and graduated from A. J. Moore High School. From there, she went on to Emerson College in Boston, Massachusetts, on a scholarship and majored in history. She also received a full scholarship to Boston College Law School and graduated from there in 1972. She moved to Houston in 1986. Jones had a forty-year legal career that included legal service to the poor, corporate law, criminal law, and private practice in Massachusetts, Louisiana, and Texas. 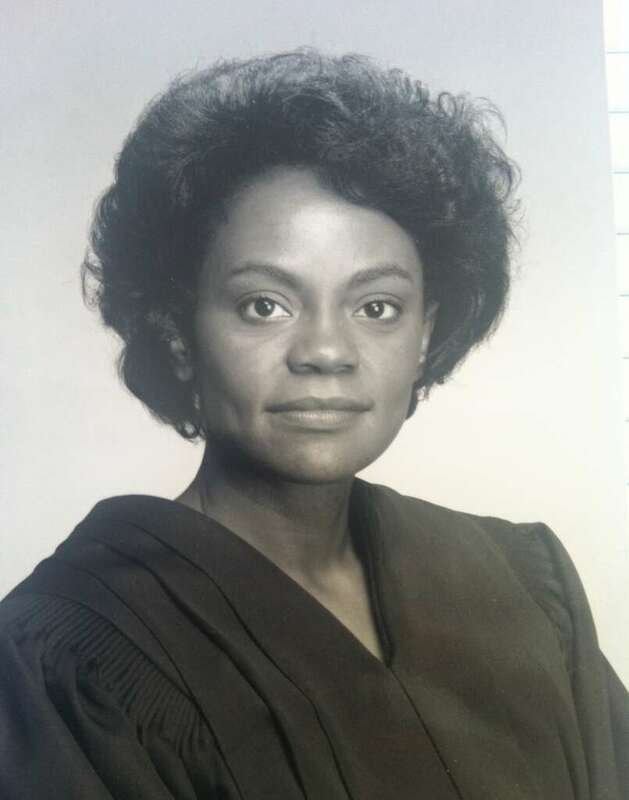 After Jones became the first African-American woman to serve on the First Court of Appeals in Texas, President Bill Clinton appointed her United States Attorney for the Southern District of Texas in 1993, making her also the first African-American woman named to that post. She later worked as a litigation counsel for Hewlett Packard Company and also served as an adjunct professor at the University of Houston Law Center. National Association of Former United States Attorneys Plaque dedicated to Gaynell Griffin Jones, 2013. Courtesy of the National Association of Former United States Attorneys. Image available on the Internet and included in accordance with Title 17 U.S.C. Section 107. Jones received many honors and awards for her continued activities in her community and in the legal profession. Among them are the Sarah Hughes Outstanding Achievement Award from the State Bar of Texas Women’s Section, the Bessie Coleman Trailblazer Award, and the Star of Achievement Award. She was also an instructor at the National Institute for Trial Advocacy. Jones was active in the Houston Bar Association as co-chair of the minority opportunities committee and was a frequent lecturer at professional seminars and programs. She served on the boards of the Phoenix House of Texas and the Houston Area Women’s Center. Gaynell Jones, a long-standing member and deaconess of Wheeler Avenue Baptist Church, died of cancer in Houston on March 1, 2013, and is buried in the Texas State Cemetery in Austin. She was survived by her husband Robert Jones and daughter Athena. Chrystal Grant, “Law School lecturer dies at 64,” The Daily Cougar, March 3, 2013 (http://thedailycougar.com/2013/03/03/law-school-lecturer-dies-at-64/), accessed May 10, 2013. Houston Chronicle, March 3, 2013. Handbook of Texas Online, Merline Pitre, "JONES, GAYNELL GRIFFIN ," accessed April 25, 2019, http://www.tshaonline.org/handbook/online/articles/fjocr. Uploaded on June 13, 2013. Modified on April 12, 2017. Published by the Texas State Historical Association.